Namibia is an ideal destination for adventure, but if you are not in the adventurous mode to experience it, a road network that is maintained will make the journey a pleasure! Windhoek is Namibia’s capital city and lies in the heart of the central highlands in an airy basin surrounded by rolling mountains. It is the cleanest, most relaxed and safest capital cities in Southern Africa, the perfect place to round up or launch a Namibian holiday. At the arrival in the cosy capital of Windhoek, there is an impressive combination of innovative modern constructions and old German colonial buildings. Many shops have German owners and you meet German speaking Namibians everywhere. It’s a bustling, cosmopolitan city with good hotels, sophisticated shops and great bistros. There is a harmonious blend of European and African cultures and overall friendliness. State buildings range from the Parliament of Namibia to the newly founded Hero’s Acre on the road to Rehoboth. The Heroes’ Acre is a modern, state of the art national symbol that was inaugurated by His Excellency, Dr Sam Nujoma, on 26 August 2002. It was built to foster the spirit of patriotism and nationalism and to pass on this legacy to the future generation of Namibia. The Heroes’ Acre took 13 months to construct covering 732.9212 hectares. It houses 174 graves. Day tours are available to Katutura, the Windhoek museums, the National Library, National Art Gallery, National Archives, National Art Gallery and the Botanical Gardens. Or you can admire the German colonial architecture of the Alte Feste, (1892) In Robert Mugabe Avenue.this is one of the oldest buildings in Windhoek, with its cornerstone laid in 1890. It served as a military headquarters in 1915 and then as a hostel for the Windhoek High School in 1935. In 1957 it was declared a national monument. It now houses state museum, where the historic independence collection, reflecting events leading up to the independence of Namibia can be seen. You can also see the Tintenpalast parliament building and the Christuskirche, the city’s landmark church. Shop for African crafts and curios and splurge on local game such as springbok or kudu at the city’s fine restaurants. The bi-monthly Windhoek Street Market has local crafts every second Saturday. An opportunity to buy diamonds and other semi-precious stones or Herero dolls. There is also a range of wooden hand-carvings, karosse rugs, jewellery and liqueur chocolates manufactured in Windhoek as well as Swakara garments. A little seaside resort of Swakopmund is ideal. There is a strong Germanic flavour to its boarding houses and bars, and it is surrounded by a desert that is great for quad-biking, dune buggy racing and sand-boarding. It was the German merchant and adventurer Adolf Luederitz from Bremen, who bought the bay of Angra Pequeña from Nama Chief Joseph Fredericks in 1883 for 10 000 Reichsmark and 260 guns. 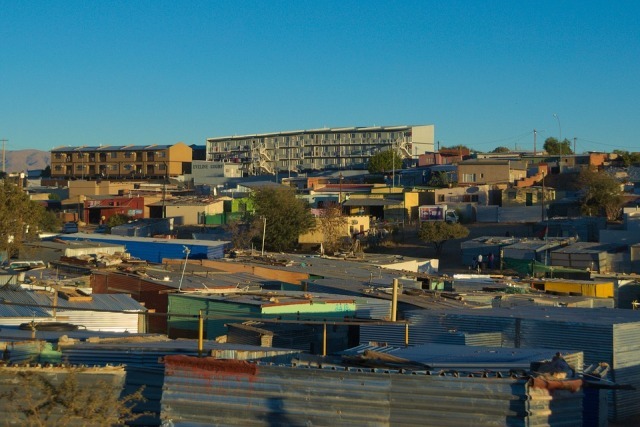 The bay is today known as Luederitz Bay. Later when diamonds were discovered – German authorities branded the area between Lüderitz and the Orange River a ‘forbidden area’. 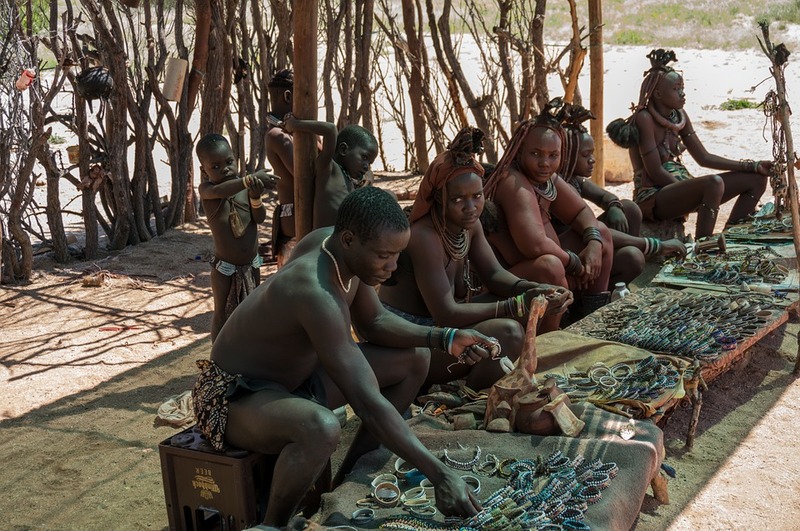 The diversity of Namibia is a rich blend of traditions and cultures. The population is composed of several different ethnic groups, including the San, the Khoi-Khoi, the Herero, and the Ovambo as well as the small European population, largely Germans and Afrikaners. Visit the kraal, or homestead, of indigenous semi-nomadic pastoralists, the Himba, in the Kaokoland region of northern Namibia, to learn about tribal customs and desert survival techniques. Namibia is the fourth largest exporter of non-fuel minerals in Africa and the world’s fifth largest producer of uranium and is set to become the largest exporter of uranium by 2015. Languages: English is the sole official language of Namibia. German, Afrikaans and Oshiwambo became recognised regional languages. I抦 impressed, I have to say. Actually rarely do I encounter a weblog that抯 each educative and entertaining, and let me inform you, you might have hit the nail on the head. Your idea is outstanding; the difficulty is one thing that not sufficient persons are speaking intelligently about. I am very completely happy that I stumbled across this in my search for something regarding this. Next Next post: Safari in Namibia – Quiver Trees, lions, zebras, giraffes and more….